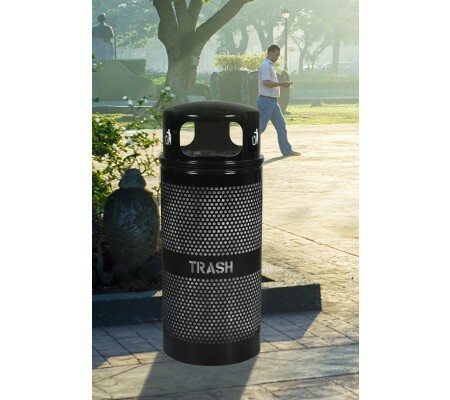 Steel trash receptacle for surface mounting with optional flat or bonnet lids and interior plastic liners. 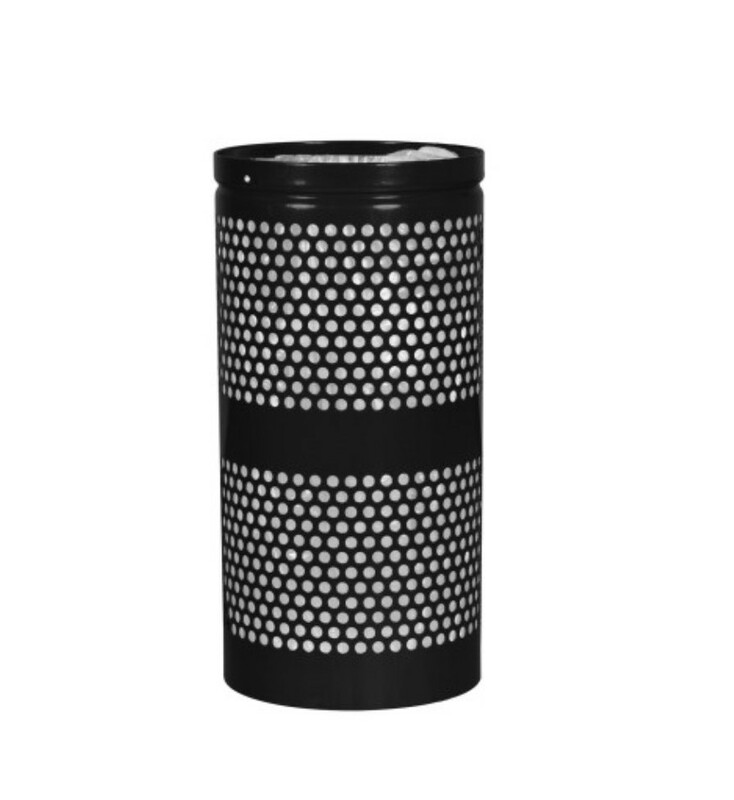 Includes center message band, interior retainer bands to secure bags, drainage holes, and weather resistant powder coat finish. Available in standard black, coffee, or hunter green.